"Making the Most of Every Minute"
As 2019 continues to unfold, I wanted to share a post detailing a large culmination of our vacation planning tips here on the site. This installment of our continual updating of this post bring to light a few things to expect in the coming year and a few change for 2019 not only in our own plans but in the way things operate at Walt Disney World overall. Restaurants change, resort experiences change, and more than anything else, the theme parks change drastically from month to month and often week to week or day to day. We’ve covered dining, resorts, hidden gems, Disney history and so much more since the site began in 2016, but a lot of it tends to get lost along the way. 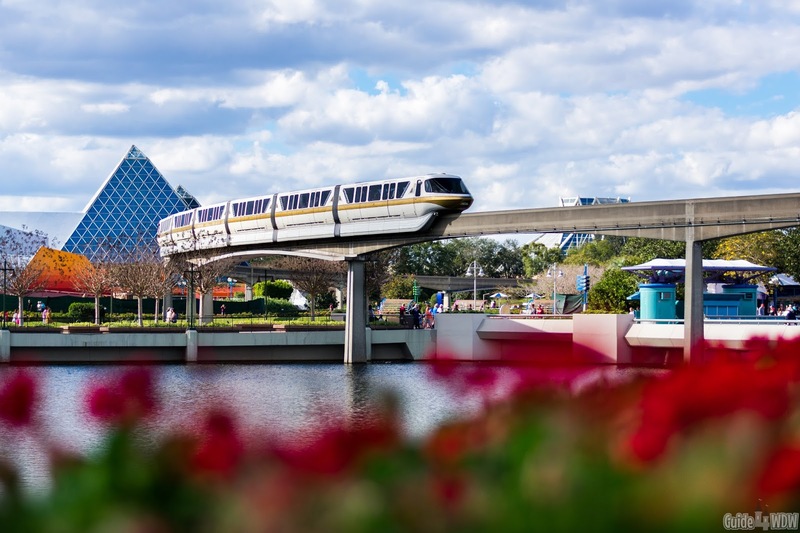 This year, we’ll undoubtedly see changes unfold at Disney World and along the way we’ll make every effort to keep this post available as a consistent yet changing resource for your vacation planning needs and questions. We’ve certainly never seen and done all that Disney has to offer but with around 20 years of theme park visits under wraps, we’ve learned (the hard way many times) a great deal about Walt Disney World. More than anything, I hope this guide takes you from considering a Disney vacation (be it your first trip or your 100th) to looking forward to the planning experience. Even beyond that simple goal, I hope that this culmination of posts encourages those of you returning to Walt Disney World to try something new and step out of your comfort zone in some way. Particularly in 2019 we’ll likely see a continued increase in crowds and the presence of crowds in the parks. Even months after Toy Story Land’s debut, wait times regularly exceed two hours. Pandora, while approaching two years of existence in the parks, is still regularly the longest wait time anywhere on property. Do I see this changing anytime soon? Not in the slightest. With Walt Disney World working to expand their resort lineup they have the best problem any company could have. They have more prospective guests than they know what to do with and no matter how many times they increase costs the guests keep piling into the parks and resorts. As a result, expect more price increases throughout the year. Unfortunately, I believe the days of the once yearly ticket cost increase have gone away and the new ticket buying system could lend itself to future increases occurring more frequently. I hope I’m wrong but we’re trending in that direction. Additionally for 2019, look for new and more immersive activities in the parks, most likely in the form of new limited time entertainment and small festivals similar to last years “Incredible Summer Tomorrowland Expo.” It’s an easy way to get guests back to the parks and offer something new while larger scale construction projects continue to work towards their opening dates. What the smaller events may be we’ll have to wait and see, but I truly believe they’re inevitable and in my opinion a great addition to the current array of offerings. Lastly, and perhaps the one thing that seems to be flying under the radar is the fact that this year we may see some rather drastic changes to the Tomorrowland theming. The average guest may not notice the differences right away, but signs are starting to come down and change and I see more and more of that becoming inevitable as the Tron attraction continues construction in the coming years. As you plan for the parks there are a few main things you’ll want to take into account: Dining, Resorts, Costs, and last but not least, History. You may wonder why I included history in that list, but believe it or not, it makes a huge difference in how your Disney vacation unfolds. We’ll touch on that a bit later. However, with all the basics laid out, we’ll jump right into what you probably came here for in the first place. To be quite honest with you, dining at Walt Disney World is perhaps the greatest highlight of our Disney experience When we tour the parks and resorts, it’s always been a priority of ours to take time to enjoy a good meal and make the most of every dollar spent towards food on our vacation. Disney food is one of those things that many guests bash on their first visit. If you’ve not been touring the parks for years or arrive at Disney with very little planning, you may even leave with that exact same thought. Thankfully, it doesn’t have to be that way. Disney World as whole is highly encompassing of restaurants. There’s a little something for everyone and every budget, but finding it and making the most of it is something that takes a bit of planning and research to truly take full advantage of. Oftentimes, you have to take a moment to reach beyond the theme parks themselves and travel to the resorts to get a glimpse of the elaborate dining array. Jump on a bus to a resort (after making a reservation in advance) and typically within 10-15 minutes you’ll be arriving at your dining destination and will have opened up an entirely new world of immersion at the destination of your choice. Take Wilderness Lodge for example. If you’re at the Magic Kingdom, jump on a boat just outside the front entrance and within five to ten minutes (and for free) you’ll arrive at the dock of the resort. When you arrive at Wilderness Lodge, you truly enter a world that feels so distant yet so close to the Magic of Walt Disney World. It’s a place that feels like home, no matter where you’re from, and invites you into the calm yet grand atmosphere that guests have enjoyed for years on end. You’re 10 minutes from Magic Kingdom, and the magic still feels very much alive, but you’re transported to this place that feels entirely different. 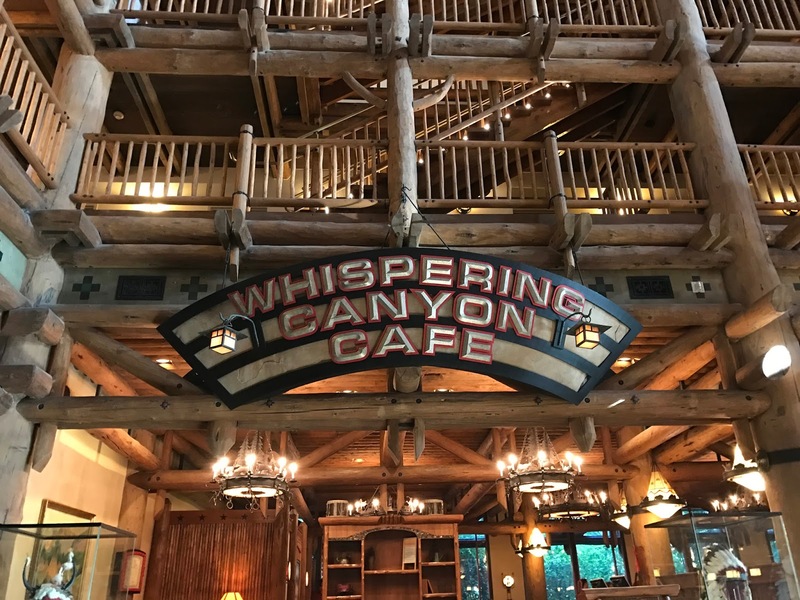 Additionally, you arrive at a place that offers one of the greatest hidden gems of the dining realm at Disney, Whispering Canyon. Its a great bang for your buck and a reservation that is quite easy to obtain. Thankfully, this example is only one of many excellent dining options that feature a similar experiential feel, but hopefully it simply encourages you to take a look through a few of our recommendations for dining experiences. Including a new and unlikely favorite for 2019, Via Napoli Ristorante e Pizzeria – A Near Perfect Epcot Dining Location. Our Top 5 Quick Service Dining Options at Walt Disney World! One of the Best Table Service Breakfasts on Property: Plus – How To Get a Taste of Lunch Free! How to Secure Popular Reservations At Walt Disney World Nearly Every Time! Homecomin’ Kitchen: Our New “Must-Do” Disney Dining Location! Planet Hollywood Observatory at Disney Springs – Late Night Dessert Is The Way to Go! If you’re a frequent reader here on the site, (first and foremost, thank you!) you likely already know that I truly believe that a great resort can prove instrumental in the level enjoyment you get out of your vacation. Of course, a resort is simply just that, a resort. It’s a place to lay your head for the night after a long day in the parks, but it is also a huge piece of the Disney experience. When your stay on Disney property you are encompassed in a story that develops an experience unlike any other hotel resort accommodations anywhere in the country. You step into a lodging facility, but more importantly you step into a story that unfolds before your very eyes. Once again, we’ll use a resort to better explain the concept. 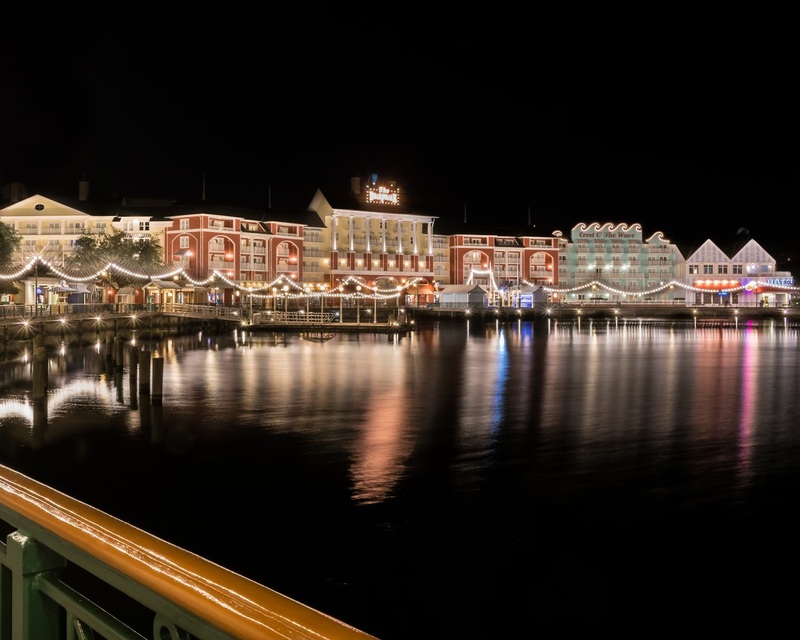 We could truly pick any resort on property, but for this particular example we’ll take your thoughts over to Disney’s Boardwalk Resort. The best way for me to explain what I’m about to share is through a thought process explained in words. Put yourself in the mind of a business executive of some type. You travel the world for a living and stay at hotel after hotel night after night. To an extent, 99% of those hotels will feature a similar experience in regards to the big picture. Now, take that same mindset and you check into your reosrt accommodations for the night and find an ESPN branded restaurant, a lakeside view, a series of performers steps away from your resort room, 10+ dining locations within a 5 minute walk, glimmering lights shining off of the water of a wood paneled boardwalk, and you can hear and see fireworks in the distance all from a location reminiscent of Coney Island or Atlantic City. That experience is Disney’s Boardwalk resort. That concept is a bit hard to wrap your mind around for those of us who have been touring the parks for years. At a certain point you come to expect these immersive experiences from Disney. It’s a highlight of the experience and one that I recommend for so many reasons to first time and returning Disney guests. Yes, Disney resorts tend to be expensive, but when you compare resort fees and parking costs per day at other resorts (which are still typically more than the new WDW resort guest parking fees), you may be surprised at how little money staying off property will save you, especially when you take into account the experience you may be missing out on. Of course, this isn’t our only tip, but it is one of our greatest tips that is reoccurring across a vast majority of our posts that detail different aspects of the resort experience. Resort Review: Disney’s Port Orleans Resort – French Quarter – One of the Best Moderate Resorts! As touched on previously, there is no way to avoid the inevitable. A Disney vacation is quite expensive. 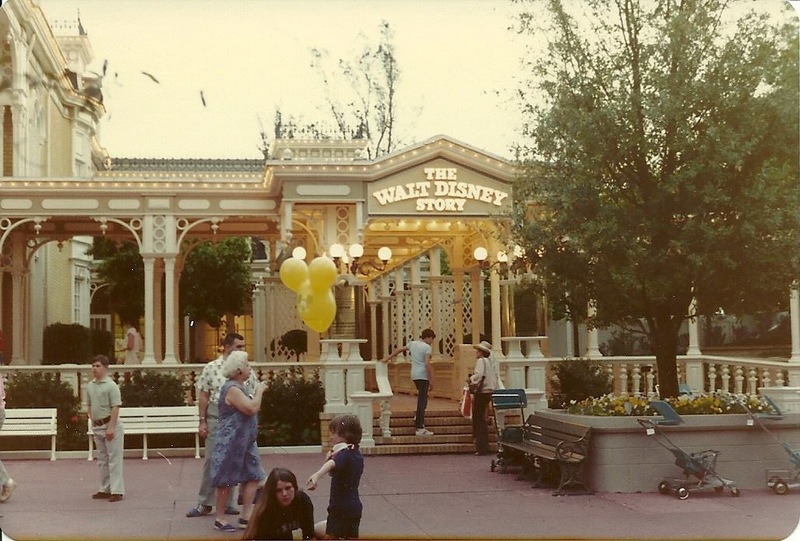 We’ve been lucky to be able to travel to the parks as much as we have over the years, but it hasn’t always been club level accommodations and deluxe resorts (and still isn’t) for our trips. 99% of our trips are paid for out of pocket by us and our other jobs rather than the revenue driven from this site. To be quite honest with you, we drive little to no revenue from the site and what we do goes back into the site itself rather than to fund our Disney trips (unfortunately). We’d love to get to that point some day, but it’s not our main focus. Thankfully, that circumstance provides us with an interesting opportunity and that is finding ways to travel affordably. 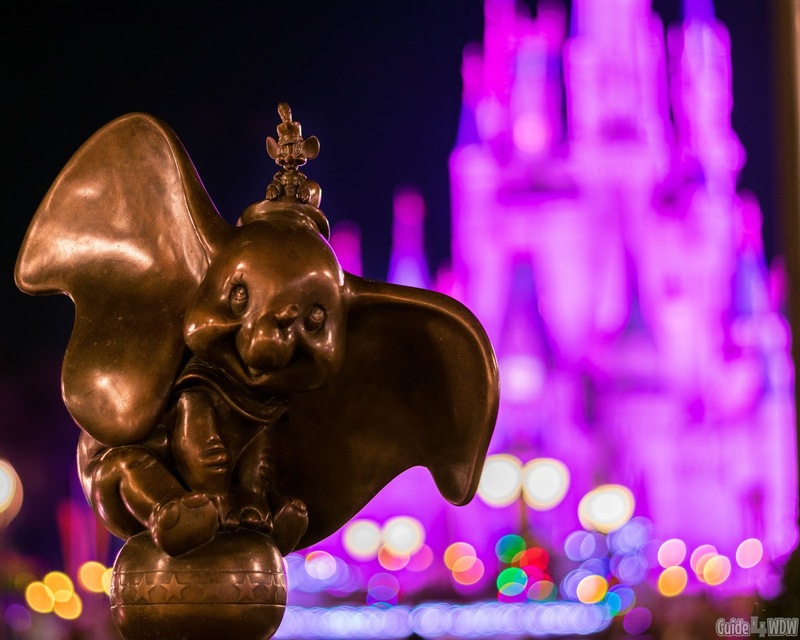 It is tough to plan Disney on a tight budget, but it is certainly doable if you know what you’re doing and take the time to avoid unnecessary costs associated with the experience. We’ve done this in a few ways. First and foremost, limiting transportation costs. Despite what many believe, we are not local and actually live about 14 hours away from Walt Disney World. In our experience, driving tends to be the most cost effective but utilizing budget airlines (Allegiant, Frontier, etc.) is certainly worth looking into. For 2019, we’ve had incredible luck with Southwest Airlines and have used them multiple times this year at incredible rates. Additionally, in the dining realm at Disney, there are a vast array of ways to save money. First, reconsider the dining plan. Typically it is more expensive than booking a limited amount of meals on your own and tends to give you more control of your spending. The dining planning is vastly convenient and does what it was designed to do, but it’s typically not your most cost effective option. Lastly, don’t be afraid to stay in moderate tier or value tier resorts. You’ll typically save quite a bit of money. We stayed at Caribbean Beach for years when we were younger and it was excellent each and every time. Personally, I see one resort as your best bang for your buck on Disney property and that is Port Orleans (link to review listed above), but each of the moderate resorts are excellent in there own way and still encompass that greatly important story element that sets Disney apart from all the rest. As I mentioned in episode #2 of our new Guide4WDW Uncut podcast, a value tier resort is going to meet or exceed your expectations when compared to a Hilton Garden Inn, a Hampton Inn, or anything else comparable under the “Hilton” umbrella 99% of the time. Many of you are likely wondering why this is on the list. It’s somewhat different from what you may expect from a post like this, but to be honest with you, it is one of the single most important aspects of the Disney parks in my humble opinion. You see, Disney is more than a theme park destination, it’s a place that shares stories, evokes memories, and allows you to create a lasting experience with those around you. However, there’s a piece of the puzzle that you wont find on any Disney advertisement or on a majority of Disney websites, and that is the resonating history of the place itself. So many guests enter Magic Kingdom and walk down Main Street or even the promenade of Epcot’s world showcase and simply do not realize the history they are overlooking that could vastly alter and improve their experience. Starting out, I built this site on that concept. I wanted to share what many guests overlooked not because they intended to, but rather because it had never been shared with them. As the last example of the day, there’s no better way to explain this concept than through the Edison bulb. I know many of you just got entirely confused, but bear with me and I’ll explain. On Main Street at the Magic Kingdom, you’ll find tucked away in the corner, the Car Barn. The Car Barn sits adjacent to the Harmony Barber shop and has been in that same location for years. However, the building holds a secret that very few ever realize. The location itself holds the trolley cars utilized throughout the day and while it is not open to the public all day, it’s doors are opened so that you can peer in from time to time. It’s full of props from the era represented by the Main Street experience, but one of them stands above the rest in regards to authenticity and it’s likely the most unexpected part of what you see. Over in the corner of the room you’ll find a single wire hanging from the ceiling holding a dimly lit light bulb. The bulb itself is a commissioned project for the sole reason of creating a truly authentic experience to complete the story being portrayed on the grand stage of theme park entertainment. This little bulb, tucked away in the corner, was and is created by an individual up north that is commissioned by Disney to create one bulb that is exactly authentic to what Thomas Edison would have created. From the materials used to the techniques utilized, it is as near authentic as you can get. To me, this is the perfect example of what sets Disney apart. Of course, you couldn’t light the entire street with those bulbs or even a portion of it for practical purposes, having that one bulb that builds authenticity, despite the vast majority of guests never even noticing it, truly sets them apart. On Main Street, the lights tell the story of generations and the journey of invention from gas lamps near the main entrance to the development of electric lightbulbs in full scale down by Casey’s. It’s a journey steeped in history, but one that not every guest truly appreciates or recognizes. Fortunately, I have the opportunity to share these things with guests here on the site, and I truly believe it helps build a greater depth into the Disney World experience. It may not be your typical “Disney Guide” tip but it’s an important tip in my opinion nonetheless. “Departed Disney” – Merlin At The Magic Kingdom and The Sword in the Stone! Epcot: A Look Back At What Was and a Look Forward at What is to Come! – A Disney Parks Icon for 35 Years! “Hidden Disney” – The Functional Mail Service Within The Disney Parks! “Departed Disney” – A Lost Disney Stage Show that Exceeded Expectations: Tarzan Rocks! These select Disney history articles we’ve shared here really only scratch the surface of what we’ve written about this year, but it’s always a pleasure to share the history and hidden gems of Disney we’ve uncovered over the years. Hopefully, as you plan a vacation for 2019 or truly any time in the future, we hope these create some kind of lasting impression on your experiences even in a small way. We truly appreciate you being here and wish you the best in the planning process. As always, if you have thoughts, concerns, questions, or even some tips of your own to share, don’t hesitate to reach out to us on Facebook or your favorite social media platform. Give us a follow while you’re there, and we’ll keep the conversation going in the future. We’re not the largest Disney community, but we’re one that’s there and one that listens. Thanks for reading and have a wonderful day wherever you are! Let our friends over at Destinations to Travel (FREE – no obligation quote request form below) help you out at no additional cost to you! Here’s a closer look at why I recommend an Authorized Disney Travel Planner! Last but certainly not least, if you’re starting the planning process, a great place to start are with some of our top planning articles! Looking for dining? Check out Disney World Dining Tips For 2018. Want to start with some more tips? 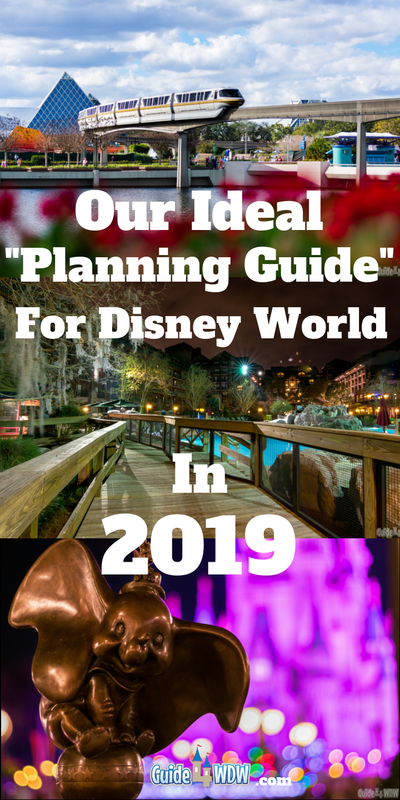 44 Excellent Disney World Tips for 2018 or Disney World Planning Guide and Tips For 2018 are a great place to begin! Looking to save money on tickets? Check out our friends over at The Official Ticket Center for great deals that even made it into our 2018 Discount Disney World Ticket selections and another great way to help us create more content through your contributions at no additional cost to you! You’ll probably even save money along the way.